Call Boat Owner Mike 215-829-1900×110. 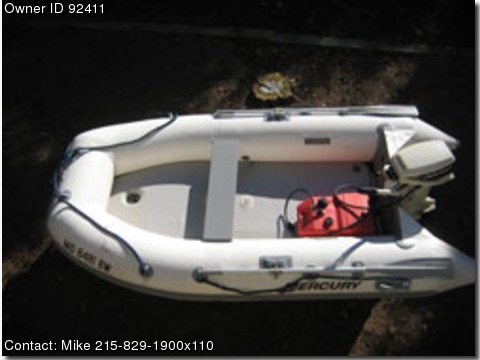 2005 Mercury Quick Silver inflatable with air deck. PVC, oars included. gas tank, pump and storage bag. Only used 6 times, never stored outside. Selling it with 9.9 Johnson with only 50 hrs. usage, rebuilt last season because lack of use.